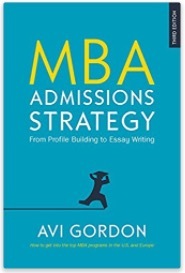 I’m often, … no correction, always telling MBA applicants to extract the full MBA admissions value from what they have in their bio, and what they have done. 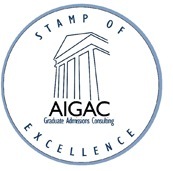 Doing this is the only way to present as more valuable than the next applicant to the business school in question; that is, the only way to get admitted in a competitive system. Easier said than done of course. So the question comes back: How do I do that? And this is a fair-enough question. How to do it, as I’ve written at greater length in my book, has to do with (a) understand the full dimensions of MBA admissions value associated with what you have done and/or achieved; (b) understanding what is valuable to Adcoms, which is to say what is valuable in the b-school environment and in MBA careers, and (c) being able to connect “a” to “b” in a clear and compelling way. Let’s say you have been involved in JKA karate for much of your early life, achieved your “black belt” at the age of 18, were reasonably successful in competitions during high school and college, but now just keep your hand in at the dojo as a part-time instructor. Is it valuable or not? Of course it’s valuable. Karate is a recognized development activity. It takes youth through a structured and disciplined and group-oriented series of challenges. Also, no question that having spent this much of your life on the activity, it has to get some airtime in your application. More pertinently, which parts are valuable? What do you say? Is it valuable to say you can fight people and easily knock them down. Of course not. That’s a red flag. Is it valuable to say you can defend yourself in any situation? That’s not going to hurt your application, but it won’t help. Adcom doesn’t rate people on whether they can physically defend themselves — it’s not something that counts at business school or with the careers office or recruiters or in the business world for MBA graduates. There may also be value to be had in the psychic development karate offers: exposure to alternative (oriental) philosophy, mindfulness, inner peace and self-reliance, and so on. If you are now a coach or trainer or mentor of the next generation, there is obvious admissions value in that. There may be more. The point is, there is lots to say that points to a valid admissions “value claim” for you as a person and professional going forward. Once unearthed, you choose which parts to emphasize, and you move onto the next value activity, approaching it in the same way.